A discussion with the audience occurred at the end of the screening, with the participation of Ishaya teachers and the representatives of the "Centre for Life's Praising", who supported the Ishayas' initiative and is in charge for the Yellow September campaign. Gina Battye, Best-Selling Author and Award-Winning Speaker in the UK, interviews Greg about the film and his life journey, on his recent visit to the UK. Click on the image for the Gisborne Herald to read an article about the amazing journey of Sattwa Devi, one of the Ishaya teachers - from burnt out midwife who couldn't get off the couch to meditation teacher in NZ prisons with a healthy midwife practice! Ascension meditation teaching is having in NZ prisons. The film screened to an audience of 130 people in Amersfoort, in the Netherlands. Introducing Savitri Ishaya, our amazing PR whiz-kid for A Mindful Choice. It's great to see her in the limelight for a change - she so deserves it! She has been practising ascension meditation since 2008 and teaching it since 2013, including in schools and prisons. Sevita, a Bright Path Meditation teacher in the UK, talks about her experience of Choice. 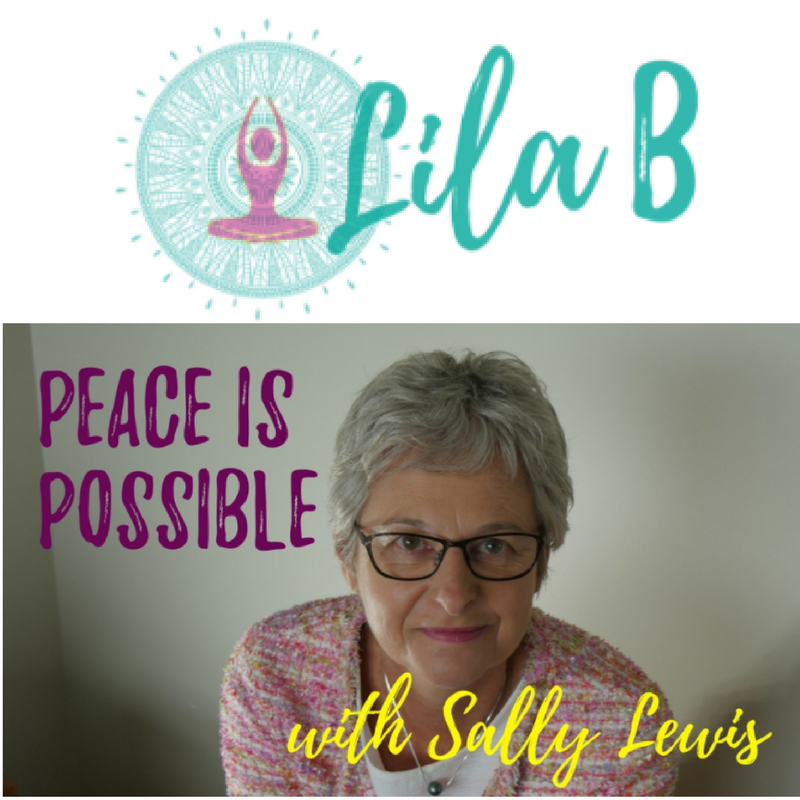 Kim Hill talks to Ishaya monks Greg Hopkinson and Sally Lewis, about Choice, the documentary, which shows people finding peace through meditation, including maximum security prisoners in the Apodaca prison in Mexico. A new documentary about people around the world finding peace through meditation is to feature at a Los Angeles film festival. The film, Choice, has been selected for the 2016 Awareness Film Festival which takes place in LA from October 6-16. This annual film festival promotes films that shed light on some of the world’s most pressing issues, ranging from the ecological and political to the spiritual. To be released around the world in October, the documentary Choice follows the stories of a number of people who have found peace after learning Ascension meditation. The full-feature documentary will screen at the 2016 Worldwide Meeting on Human Values in Mexico at the end of October and will also be shown at Mexico’s Apodaca prison where maximum security prisoners are turning their lives around after learning the meditation. “We want to inspire and give hope that there is a different way of being,” says film-maker Sally Lewis. The film producers Greg Hopkinson and Sally Lewis are Ishaya monks, teaching Ascension meditation in New Zealand. Their Mountford Media production team includes Bafta-winning editor Scott Flyger, double Emmy award-winning cinematographer Scott Simper and cinematographer Stephen Latty, together with New Zealand film industry veteran director Tony Simpson. 19 May 2016 – A couple of Ishaya monks from New Zealand have been overwhelmed by the response to their public appeal to raise funds to finish a new documentary about meditation. Monks Greg Hopkinson and Sally Lewis ventured into crowdfunding recently to get the money to finish their film Choice, which they plan to release in October this year. The documentary film follows the stories of a number of people who have found peace through meditation and whose lives have transformed as a result. The film producers put up an appeal for funds on the Indiegogo crowdfunding site in March. They have already raised more than $US73,000. With just a week to go they are hoping a last big push will help them get over the bar to reach the $US108,000 needed for final post-production, marketing and promotion, and to produce some shorter supporting documentaries. In making the documentary the film-makers visited the Apodaca prison in Mexico, where maximum security prisoners are turning their lives around after learning the ascension meditation, as taught by the Ishayas of the Bright Path. Even the prison guards are learning the meditation after being so impressed with the impact it had on the inmates. Apodaca prison has gone from being one of the most violent in Mexico to one of the most peaceful, says Sally. The film also features the stories of other groups and individuals around the world – from foster kids to stressed businesspeople to cancer patients – all making the choice to move towards a better life through meditation. Choice is a Mountford Media production with post-production by Due South Films. The team includes Bafta-winning editor Scott Flyer, double Emmy award-winning cinematographer Scott Simper and Stephen Latty, together with 28-year film industry veteran director Tony Simpson. 26 March 2o16 – The response to the ‘taster’ video has been awesome. Thank you! It’s all a bit surreal – 9 months ago our friend Satta suggested she and Dharmaraj would organise a crowdfunding campaign for the project. Here we are ready to roll. We’d like to give a big thank you to the amazingly capable and committed production team (there are nearly 20 people behind the scenes) who have been creating the website; the Facebook page and the crowd funding campaign content – all in English and Spanish. We’ve even have some content in Mandarin!